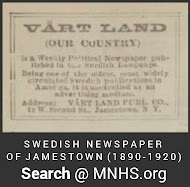 I have completed a review of the data set for the Jamestown area Swedes from 1844 to 1865. I will be working on visualizing the data and will be posting these statistics soon. Below is a quick, first look showing the stream of Swedes. Note that this graph is based on the population of immigrants and their children who lived in the area during this time period plus the immigrants and their children who had lived in the area and then migrated to other parts of the country. Jamestown, Chandlers Valley and the dead comprise the largest population groups. Population stream of documented Swedish settlers and their children (n = 1798 in 1865). The group "No Data" are those documented Swedes whose trajectory is unknown - many of these may have died. 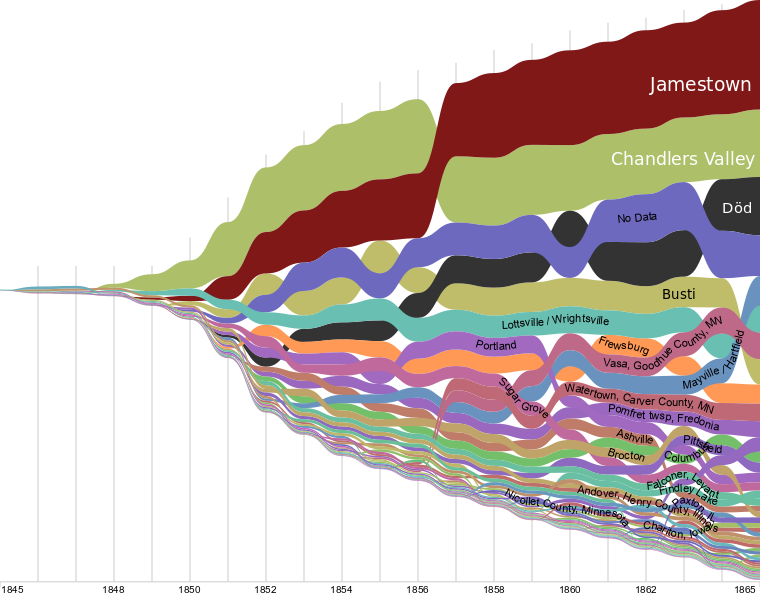 Graphic developed in RAWGraphs. Little attention is given in our local history to the migration of Swedes from our area to the frontier settlements of the Midwest. Early settlers in the Vasa community in Goodhue County, Minnesota and in the Watertown community in Carver County, Minnesota came from our area. The earliest migrants from our area to Minnesota seem to have been Eric and Catherine Anderson and their family who left Sugar Grove and settled in Vasa, Minnesota in 1855. Little was written by Norelius about this family, so their motives and connection to Hans Mattson are unknown. 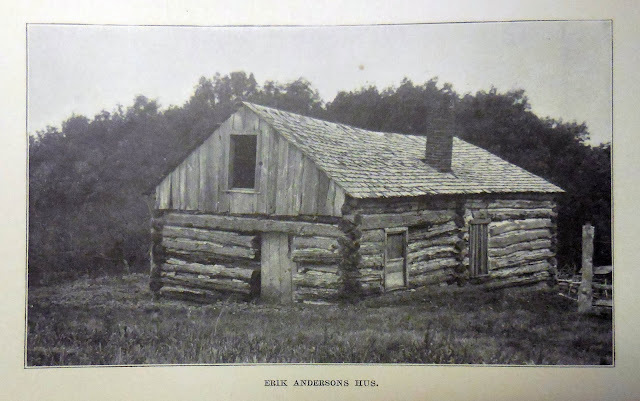 Norelius did include a photograph of their original log house in his history of Vasa. Photo from Eric Norelius, Vasa illustrata, p 12. 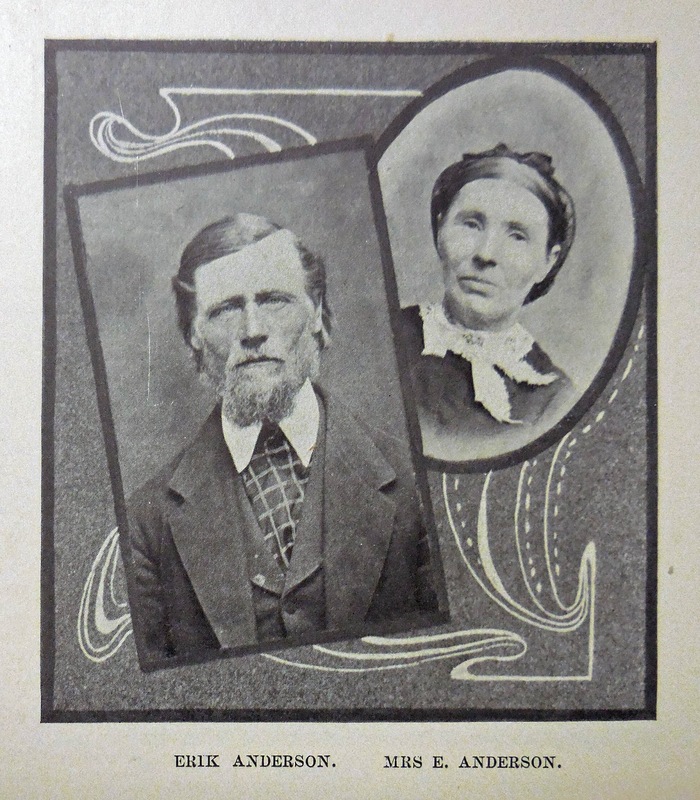 Among this group who left, the most significant were Germund and Catherine Johnson and their children, the founding family of the Chandlers Valley Swedish community, who moved out West in 1857. 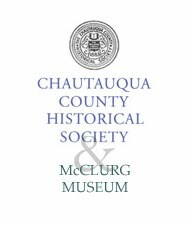 They left our area after being at the center of the new Swedish settlement in Sugar Grove / Chandlers Valley, after ten years working to clear a farm from the forest, and after giving land for the cemetery and establishing the first church for the community. Photos from Eric Norelius, Vasa illustrata, p 128. The Johnsons were part of the earliest settlers in Hans Mattson's venture in Vasa and lived nearly three decades as neighbors to the influential Lutheran minister Eric Norelius and his wife Inga. 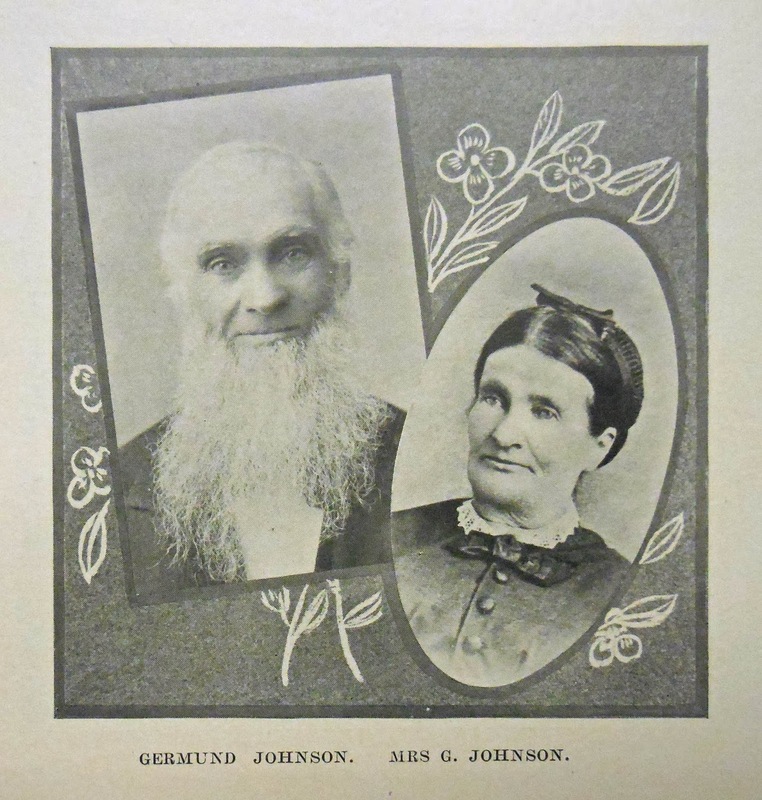 Eric Norelius wrote only brief, respect-filled descriptions of Germund Johnson.1 Germund and Catherine were founding members of the Methodist Church in Vasa and were leaders in that congregation. 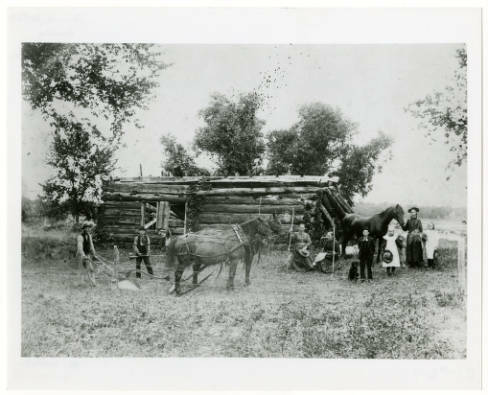 The earliest settlers in the Watertown area of Carver County, Minnesota were the Peter Justus2 family who "had lived some time in Pennsylvania" and claimed land at Swede Lake in August 1856. Rev. Eric Norelius had harsh words for B.G.P. Bergenlund and Jacob Bredberg, so if he disliked someone he did not shy from having his opinion published. In a description of Germund Johnson he seems to indicate that Germund Johnson had wanted to become a minister when he was in Sweden and later once he was in America. However, this text might be construed as a reference to Frederick J. Johnson instead. Gamle Germunds och hans hustrus graf ligger helt nära intill där jag nu sitter och skrifver, endast en 40 acres-lott skiljer huset från graf platsen. Underliga äro de många omflyttningar och sammanlänkningar, vår nybyggare-historia har att uppvisa! Pastorn för Hessel Valley-församlingen hade pröfvat på att vara präst både i Sverige och i Amerika, och han sade mig en gång tillfälligt-vis: "Det ser ut, som om våra landtförsamlingar komma så småningom att gå ut", och så nämnde han, att i hans församling fanns nästan ingen ungdom. De allra flesta medlem marna voro öfver 65 år gamla. Hvart tar ungdomen vägen? Jo, den går till städerna. Detta är ett bekymmersamt ämne icke blott i Chandlers Valley och i New York-konferensen, utan man känner det mer eller mindre i alla våra konferenser. Source: Eric Norelius, De svenska luterska församlingarnas och Svenskarnas historia i Amerika. Vol. 2. 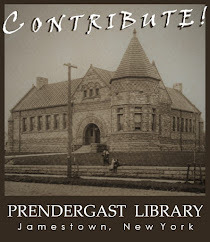 Rock Island, Ill., Lutheran Augustana Book Concern, 1916, p 403. Germund Johnson flyttade med familj till Vasa, Minnesota, och var i flera år farmare derstädes. Sedan flyttade han till Red Wing och hade sitt egentliga hem der de senare åren, men vistades mycket af tiden hos sina barn, dels i Alexandria, Douglas co., och dels i Stevens co. samt dog i augusti 1888 i Hancock samma co. Hans hustru, "Kare", dog ett par år förut; båda äro begrafna i Vasa. De voro till bekännelsen metodister, ganska frispråkiga och skrädde icke orden. Translation: Germund Johnson moved with his family to Vasa, Minnesota, and was for many years a farmer there. Later, they moved to Red Wing, but spent a lot of time with their children, in Alexandria, Douglas County and partly in Stevens County, and died in August 1888 in Hancock County. . His wife "Kare" died a few years before; both are buried in Vasa. They were professed Methodists, quite outspoken, and did not mince words. Source: Eric Norelius, De svenska luterska församlingarnas och Svenskarnas historia i Amerika. Rock Island, Ill., Lutheran Augustana Book Concern, 1890, p 32-33. Daniel Larsson Justus was born 2 apr 1816 in Roslags-Bro (Bro) Parish, Stockholms län, the son of Kronobefallningsman (Administrator, sheriff/tax assesor/collector) L. C. Justus and Johanna Magdalena Tillander. This Latin surname was written with an initial "j" or "i" as both Justus and Iustus. He married Anna Olofsdotter in Skog Parish, Gävlebergs län on 6 Jan 1837. They and their three young children received permission to emigrate 16 Jan 1830 from Norrbo in Skog parish. The Justus family was not identified by Nils William Olsson in his ground-breaking study of the earliest Swedish passengers to America (which included the 1850 voyages). The family was interviewed 2 Sep 1850 and listed as Household No. 273 in Busti, Chautauqua County in the United States Census. The family was not enumerated in the 1855 New York State Census but that likely indicates that they were working/living on a farm across the border in Warren County. 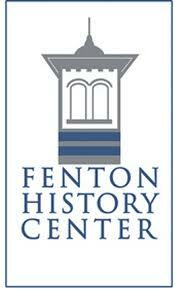 The family left our area in the spring of 1856 and arrived in Carver County that summer. There is no indication that the Justus family was connected to the Swedish community at Bishop Hill in Andover County, Illinois. This is relevant because of the connection between Gävle (Gefle) as the principal port of exit for the Janssonite sect. Living next door to the Justus family in 1850 was John (Peterson) Frank and his family, he was listed as James Peterson. This family arrived aboard the MINONA on 2 July 1850 in Boston, was not enumerated in the 1855 NYS Census, and migrated to Watertown in 1857.